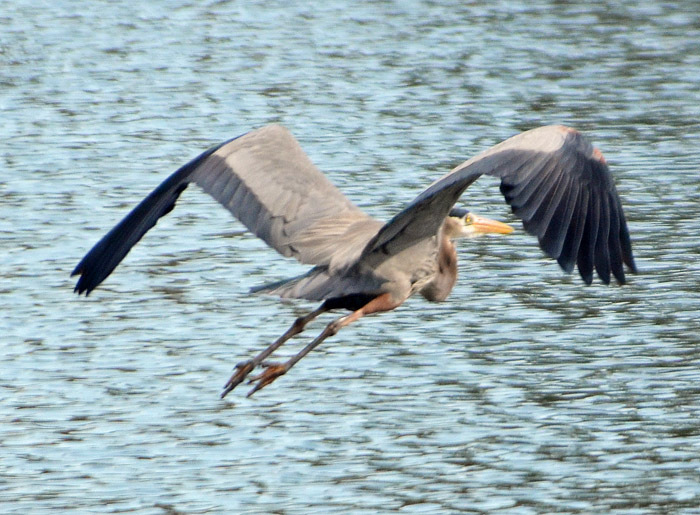 Ardea herodias (Great blue heron). These could be great blue herons but I need to verify this. 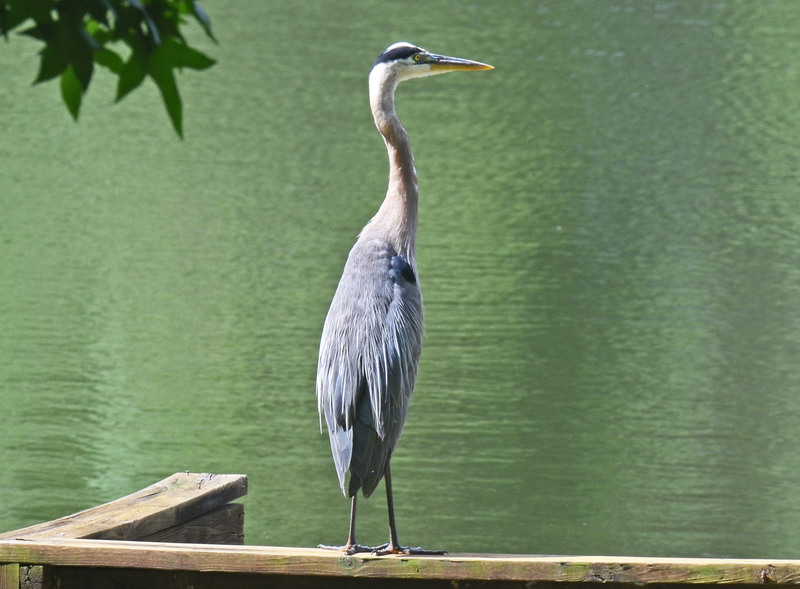 Great blue herons appear blue-gray from a distance, with a wide black stripe over the eye. In flight, the upper side of the wing is pale on the forewing and darker on the flight feathers. They wade slowly or stand statue-like, stalking fish and other prey in shallow water or open fields. The small photo was taken on 05/23/18. Size: approx. 800 mm. Photo: 01/01/18, 1 pm. The first photo of 2018 and the first one with my new Nikon 200-500mm f/5.6 lens. 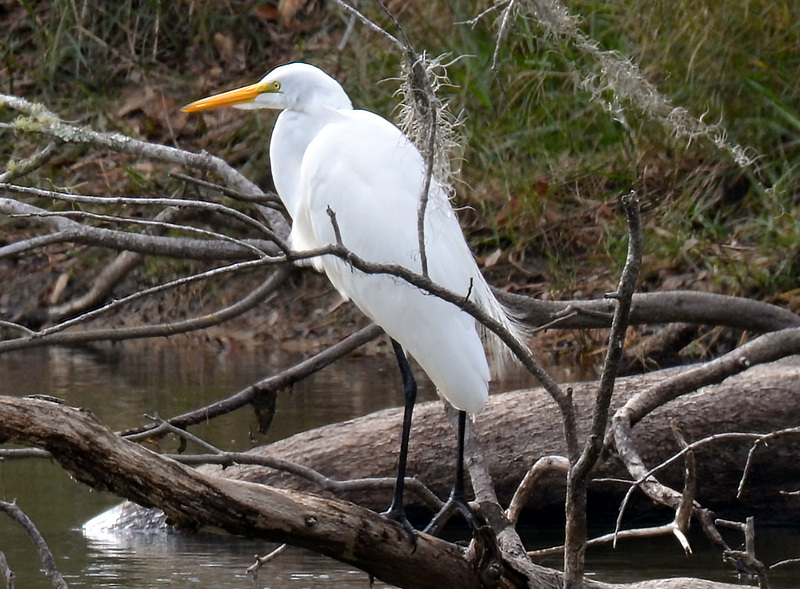 I have seen this big, white bird essentially every day for the past month and that dead branch is its favorite fishing spot. I disclose that it is not strictly within my yard but just across our small dock ... the excitement over the new lens is just too big. Great white egrets feed in shallow water mainly on fish, frogs, small mammals, and occasionally insects and reptiles. They spear their prey with their long, sharp bill, typically by standing still and allowing the prey to come within striking distance. Click here for a higher resolution version of this photo.